I'm posting this on behalf of a fellow pilot. He made a Bloody Wonder with a 13in wingspan and it is worth documenting here. There are some pics and a video of this tiny beast. Keep in mind this is the first revision or a prototype of sorts. The CG had to be brought forward a bit and there was a bit too much of a trust angle but once some more weight was added in the front and the elevator was tamed with some Tx configurations it actually flew pretty well. I'm hoping the design is perfected for it's size in future revisions and there is enough documentation to publish a formal article. Cool little build! Are those Champ guts I spy in there? 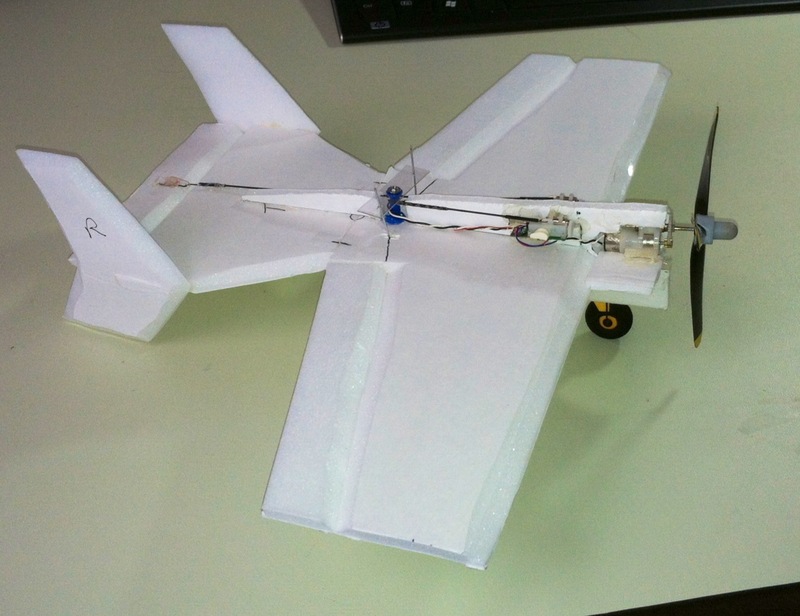 Interesting mechanism for converting the linear servo to ailerons. 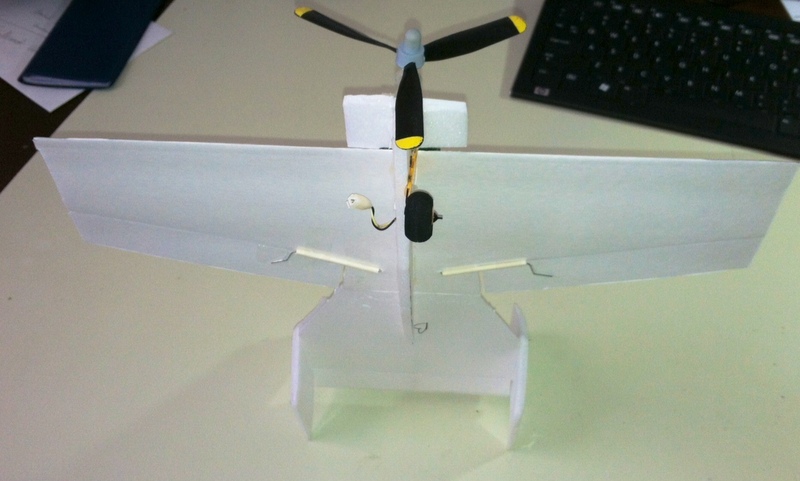 Not sure where these parts are from as I didn't build it but maybe the maker if this little beasty will pop on the forums and explain where the parts are from and how the ailerons work because that mechanism is actually quite a clever bit of engineering. Parts are from a parkzone micro cub. Motor is from parkzone micro corsair. Linear servo is small screw, push tack drilled for the screw, and plastic piece for converting the linear into dual ailerons. Q-tips, paper clips were used as linkages and q-tips were guides for the paper clips bent accordingly. Took some thought but works great. 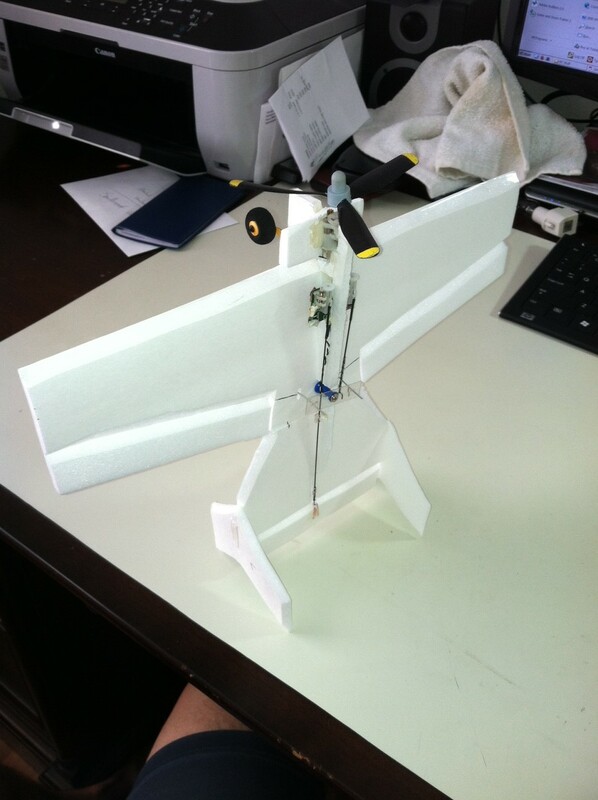 CG was off but great working prototype and will be updated and re-tested soon. Its a frankenstein for sure.